Logging Railroads of the Saco River Valley, by Bill Gove, 2001. 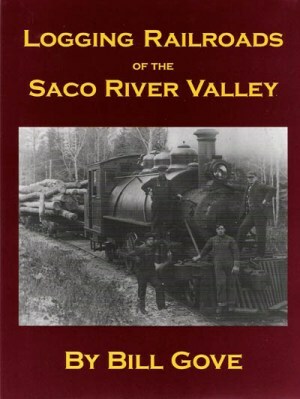 An authoritative history of six logging railroad lines that operated in or near the Saco River valley in the White Mountains, including Sawyer River Railroad, Bartlett & Albany Railroad, Saco Valley Railroad (up the Dry River), Swift River Railroad, Rocky Branch Railroad, and East Branch Railroad. Includes map of each line and over 150 vintage photos. 152 pp, 8" x 10 1/2".